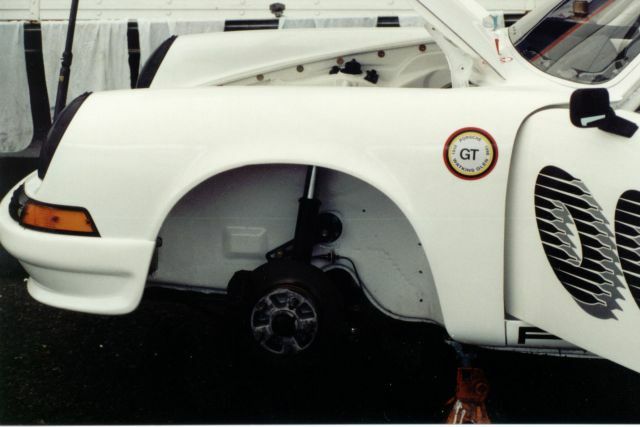 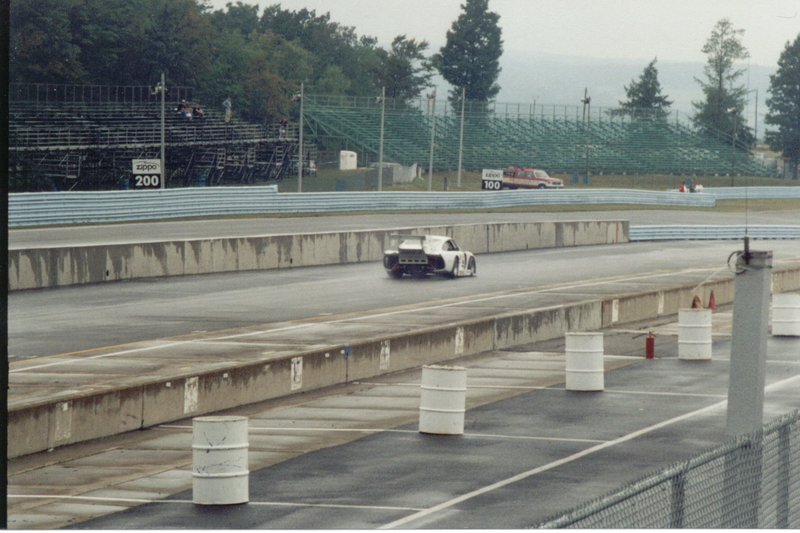 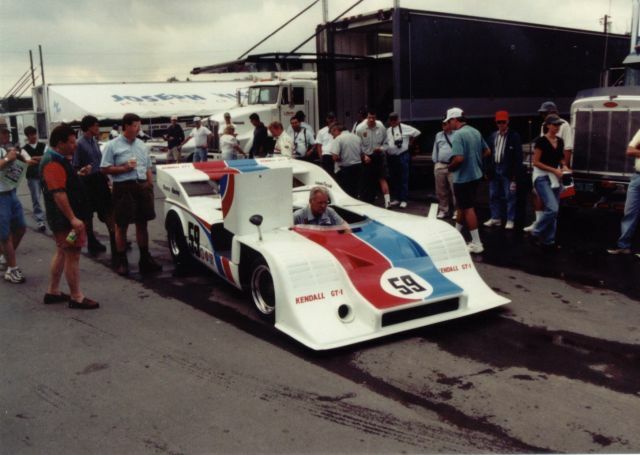 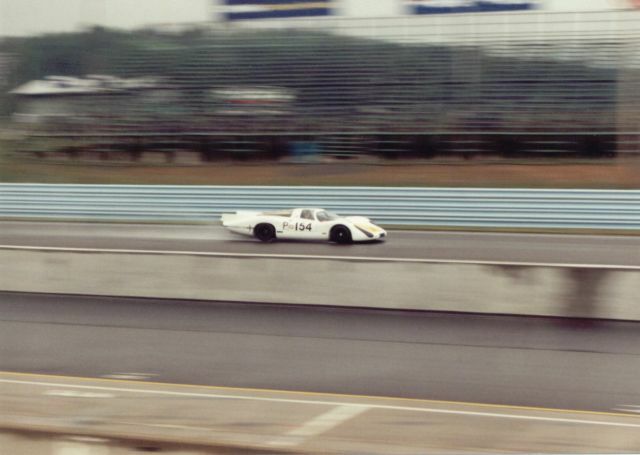 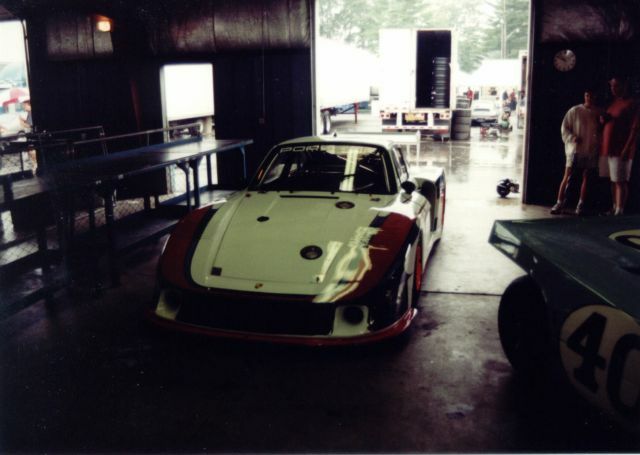 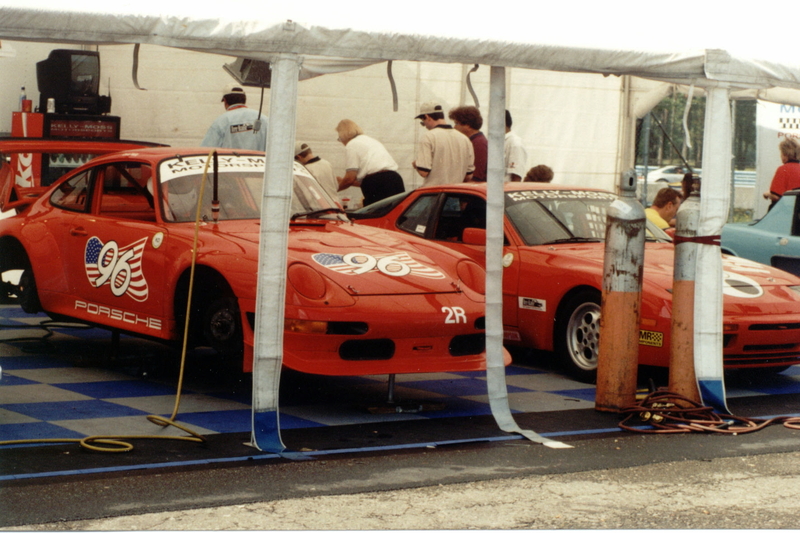 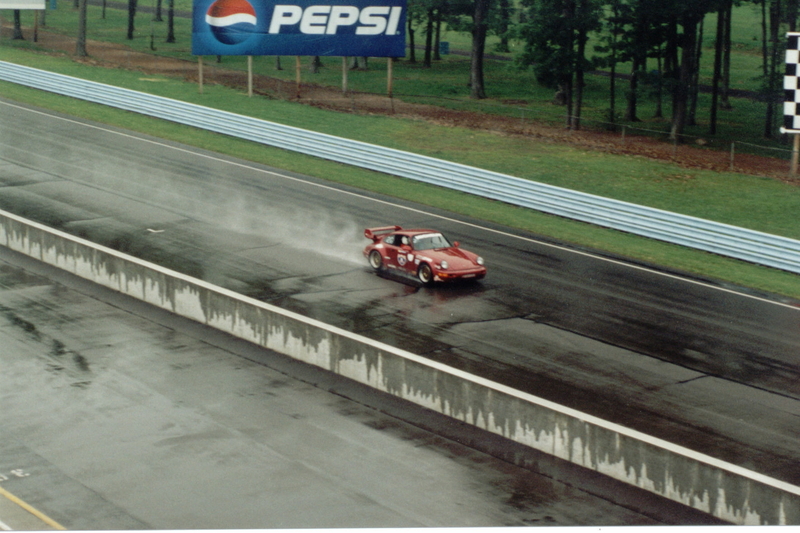 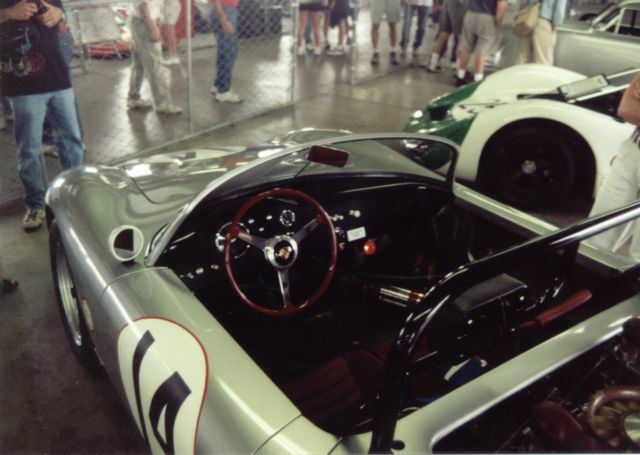 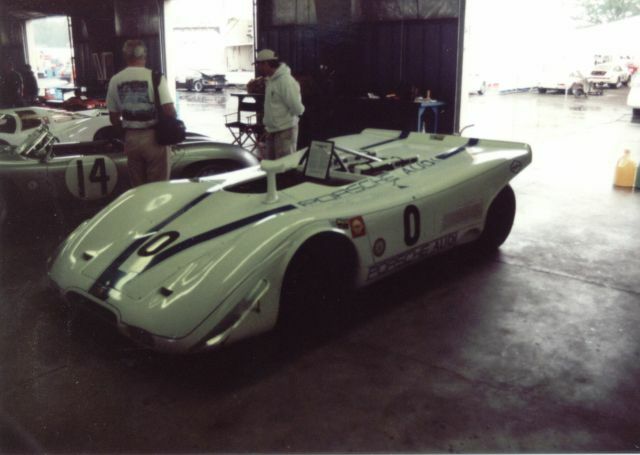 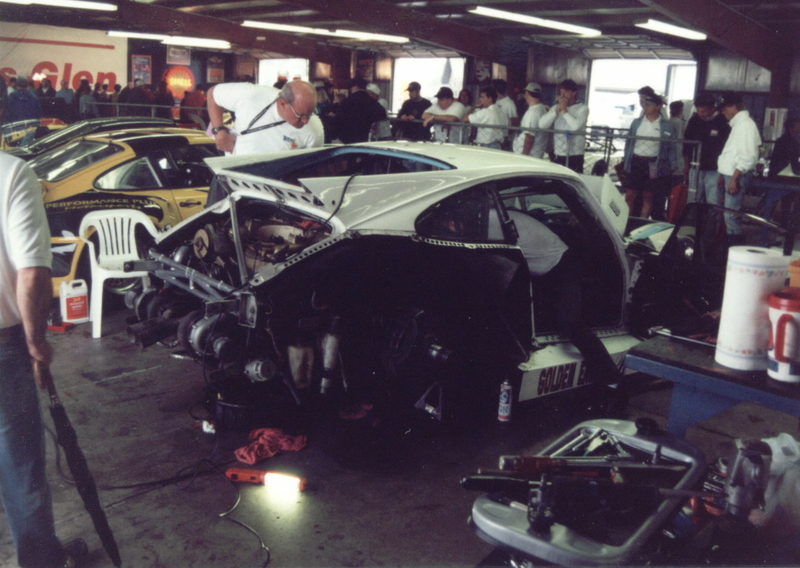 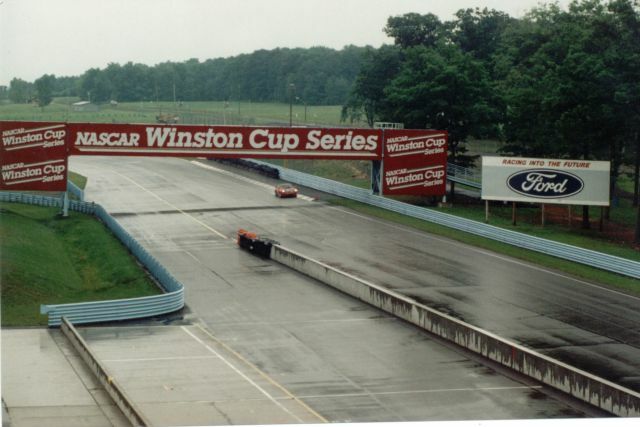 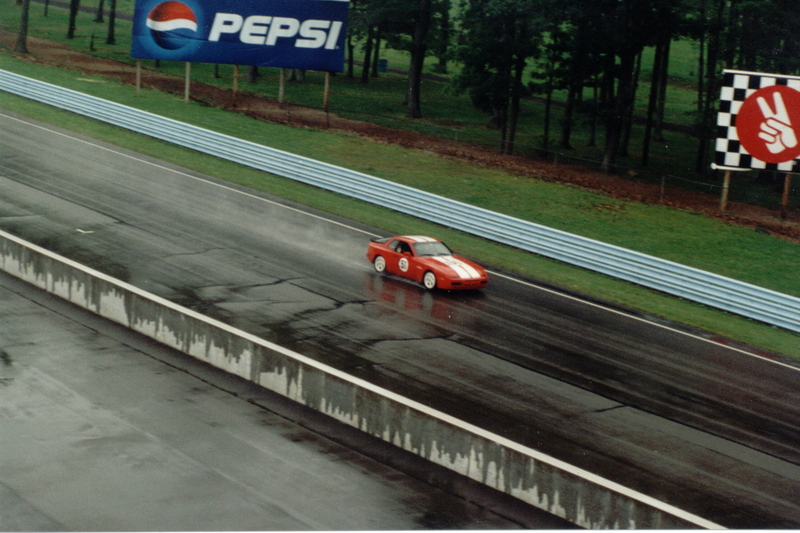 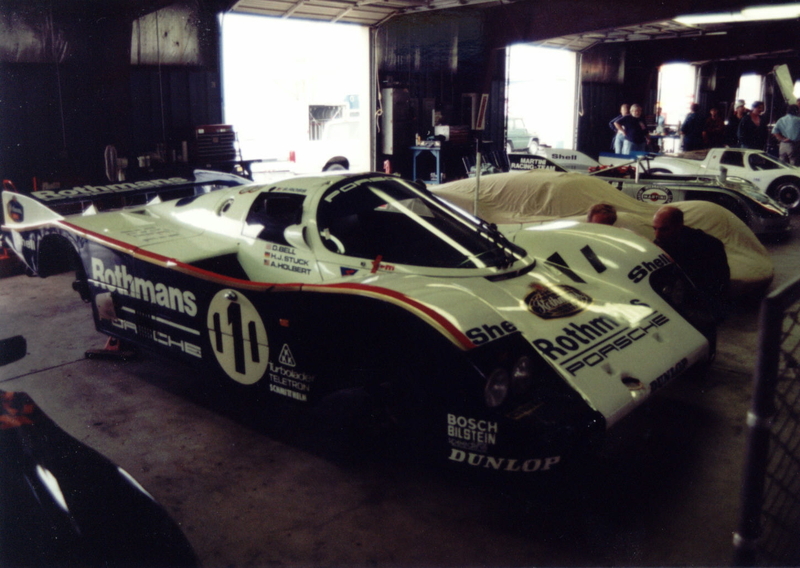 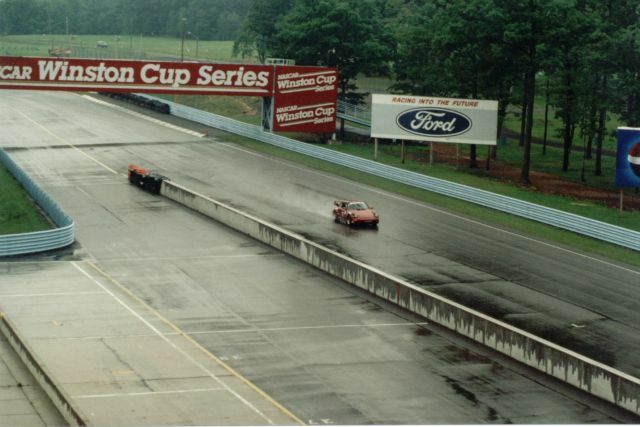 The photos On this page were taken at the Double 50 celebration at Watkins Glen in August 1998. 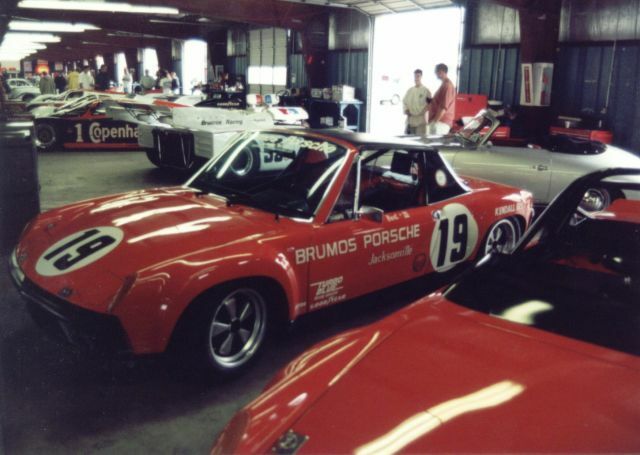 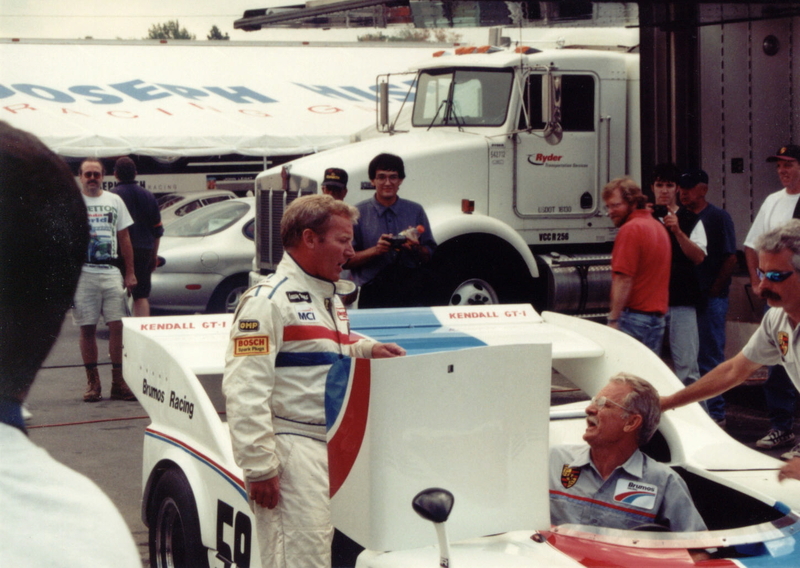 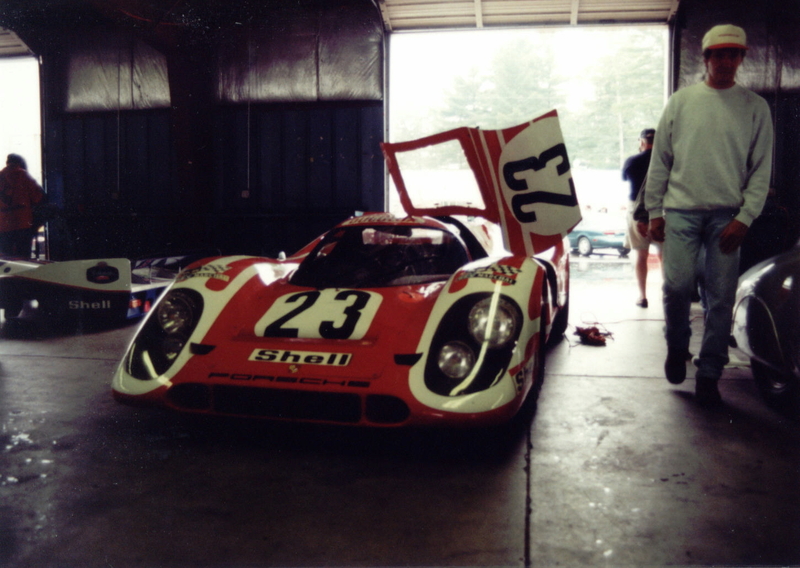 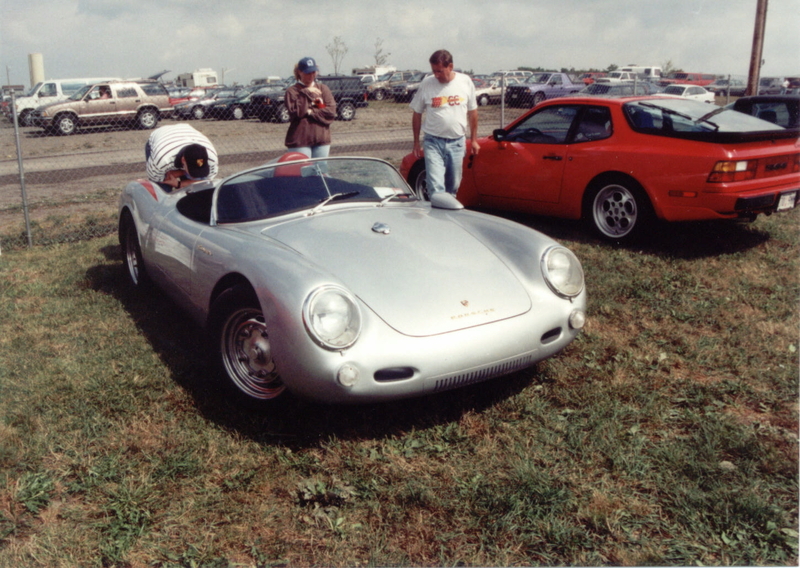 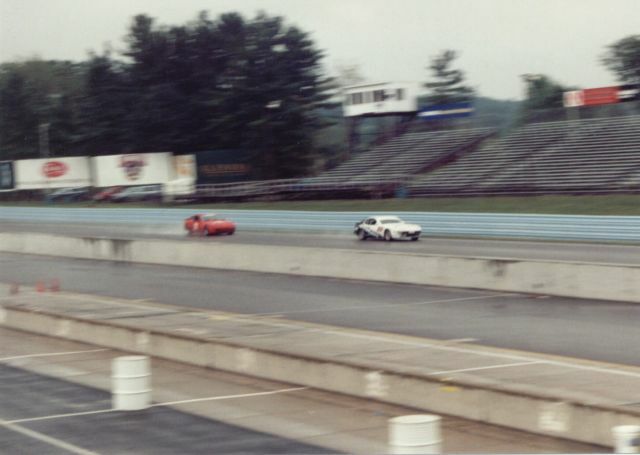 This event was held to celebrate Porsche's 50th year as a car manufacturer and the 50 years since the first road races were held on the streets around Watkins Glen. 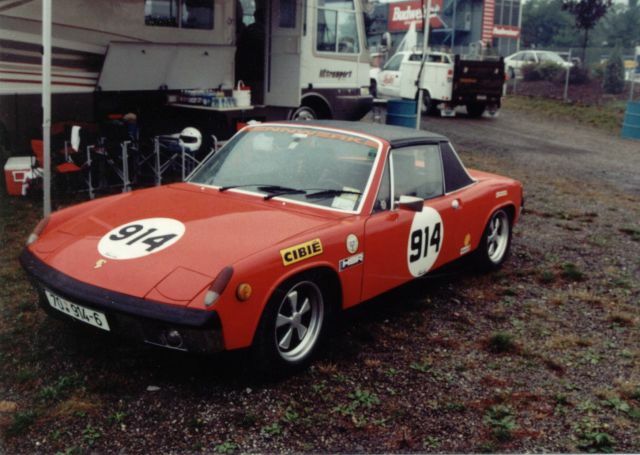 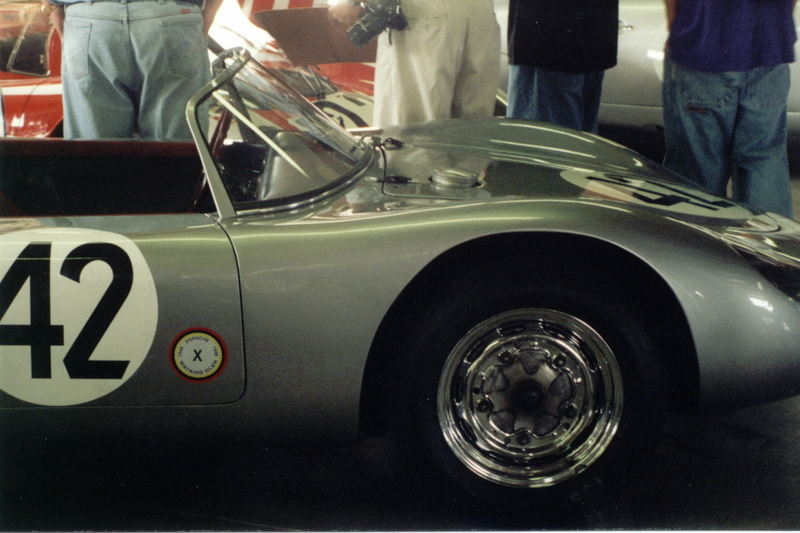 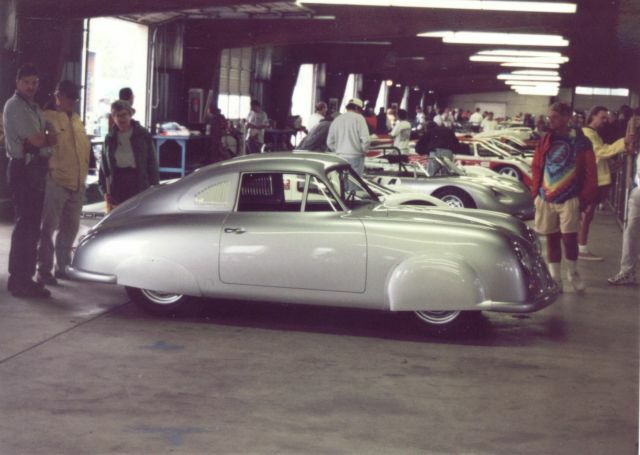 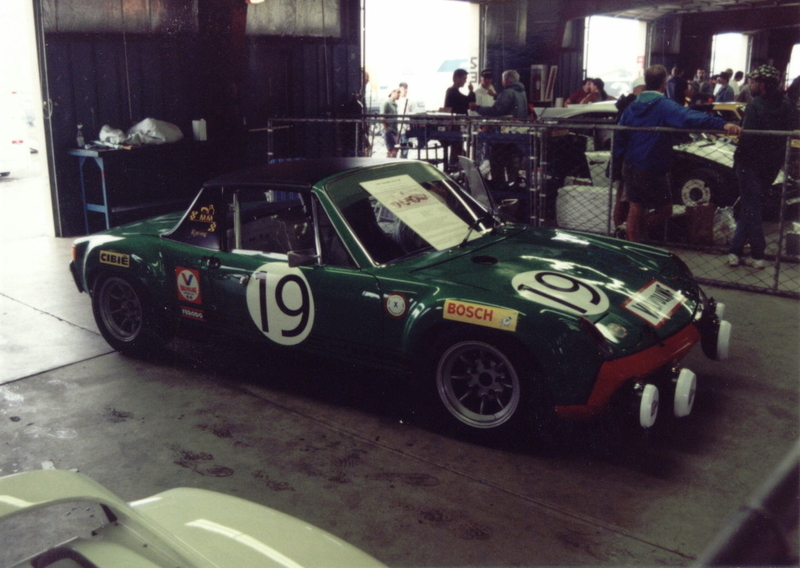 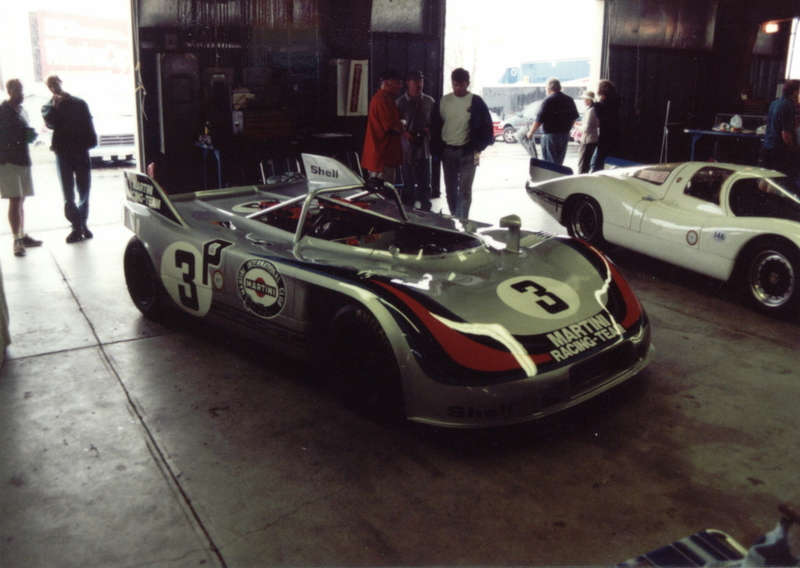 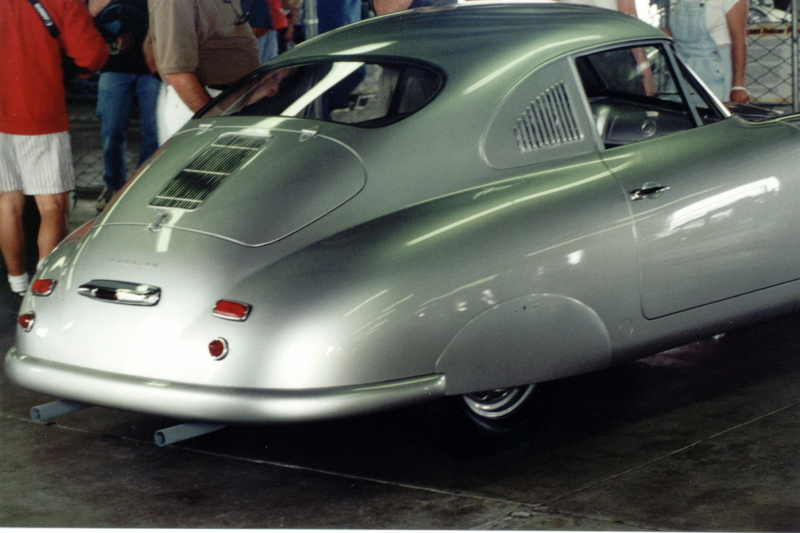 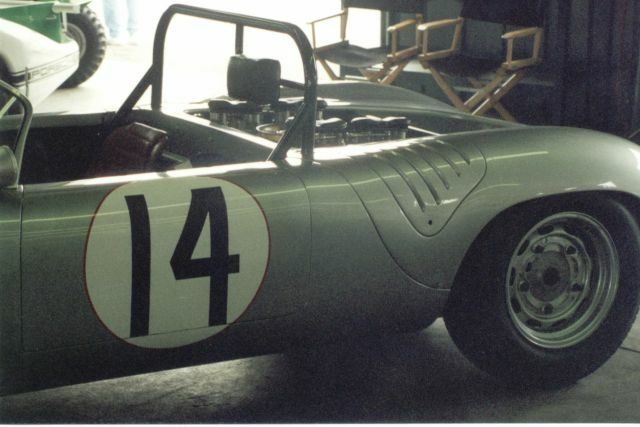 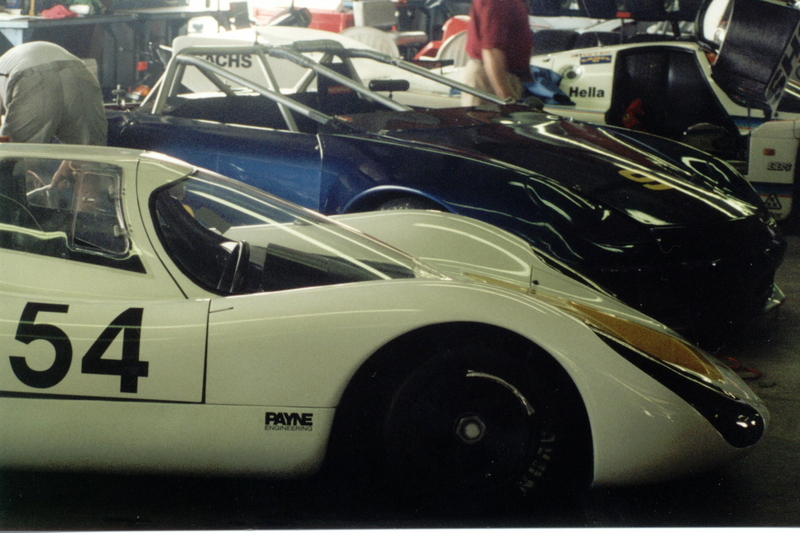 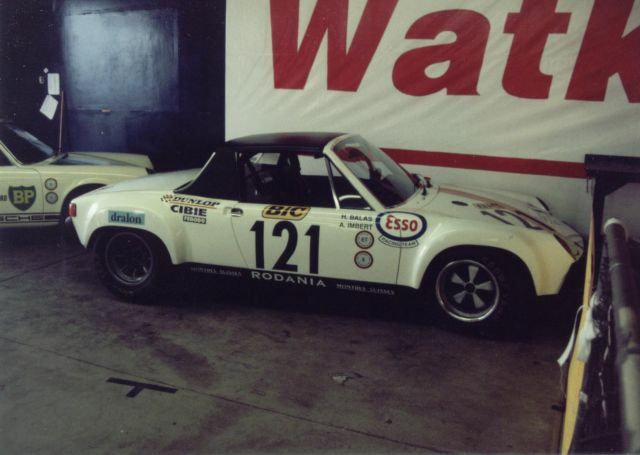 The Double 50 was held 2 weeks after the Monterey Historics which featured Porsche. 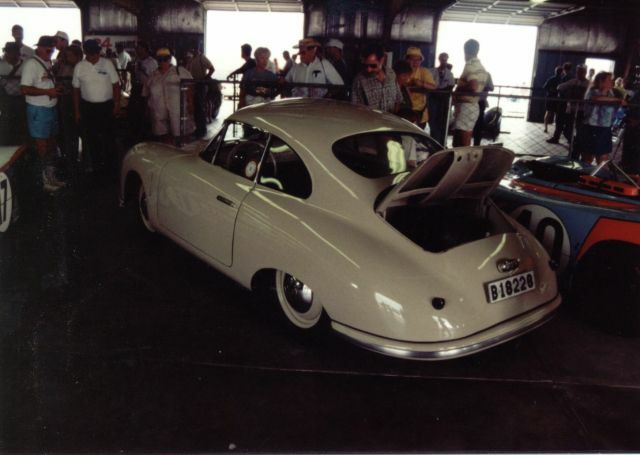 The Monterey event was also part of Porsche's world wide 50th anniversary celebration. 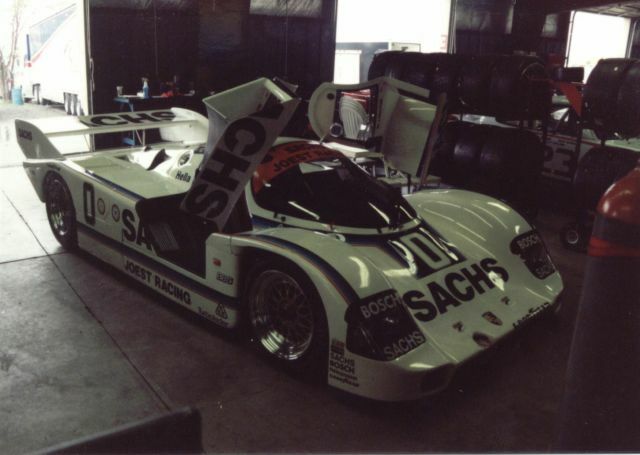 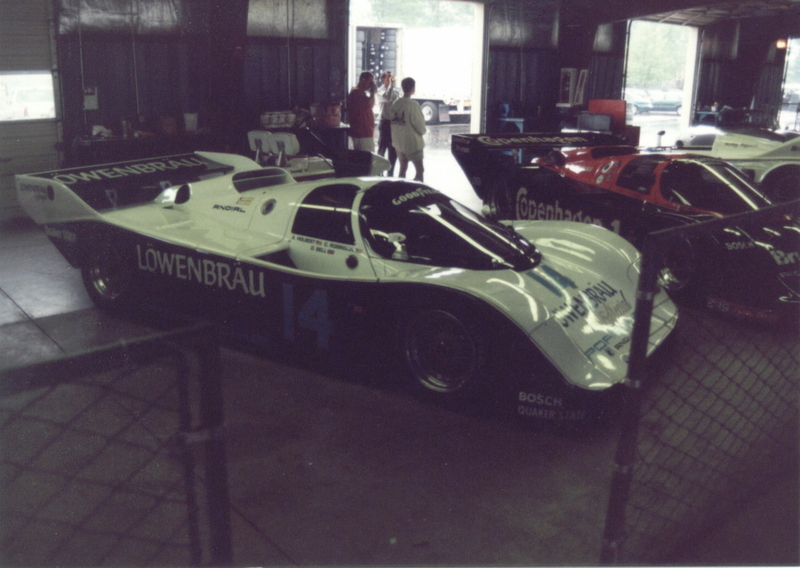 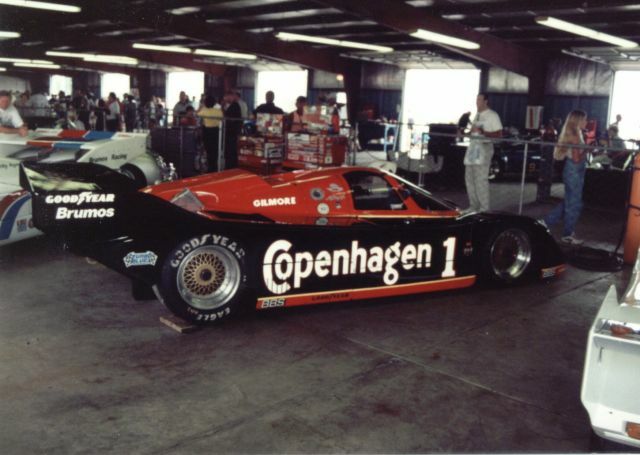 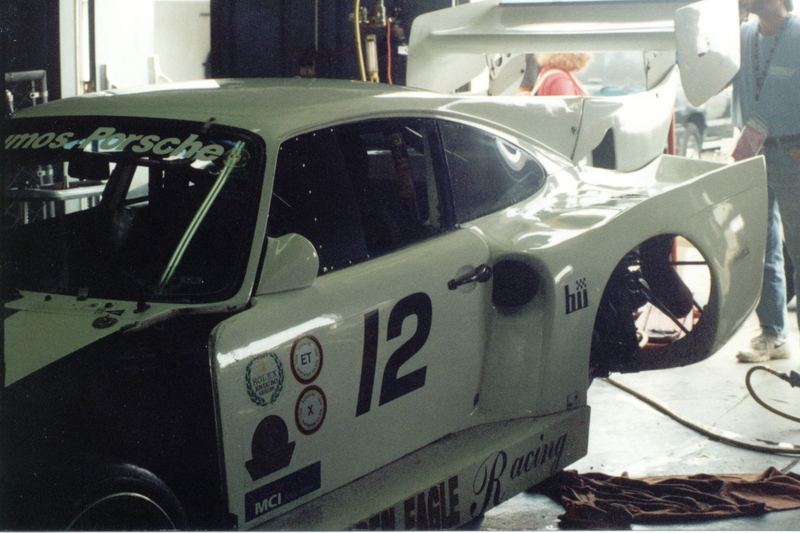 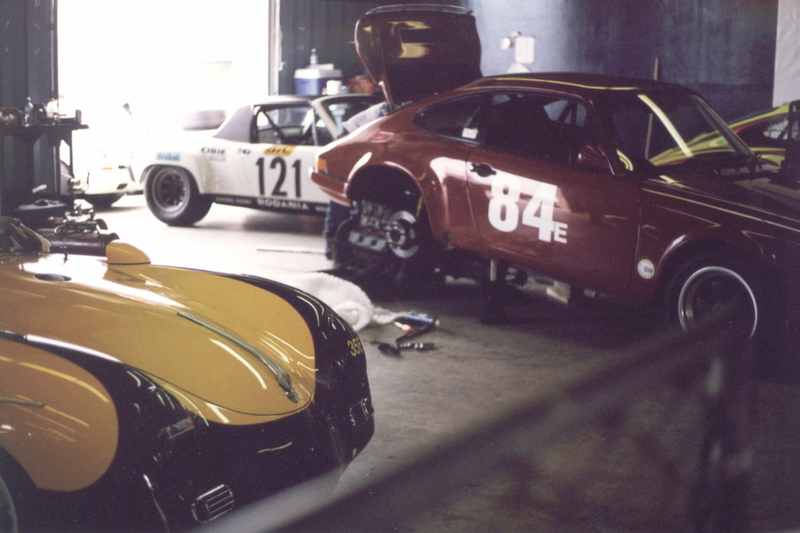 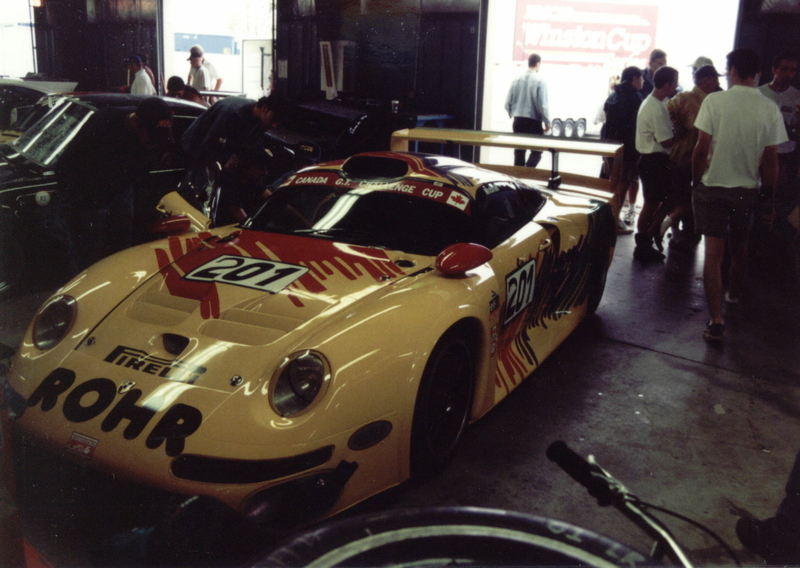 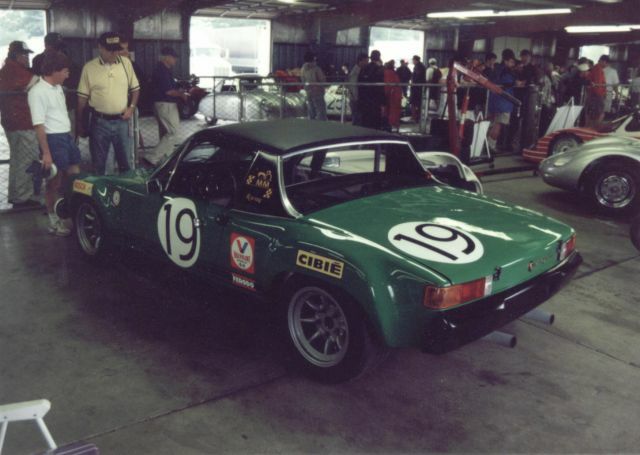 The Monterey event featured Porsche but there were many other manufactures represented on track. 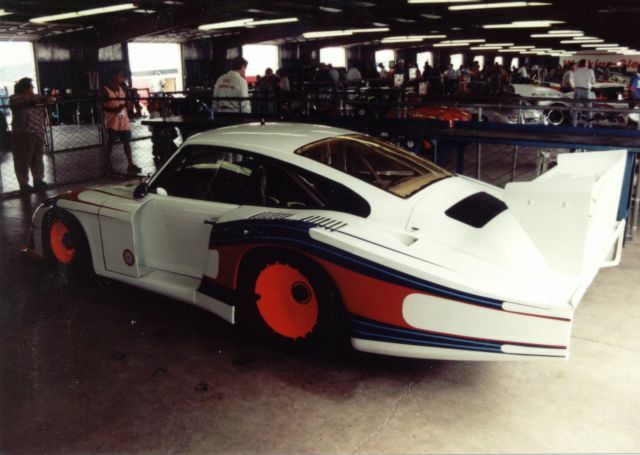 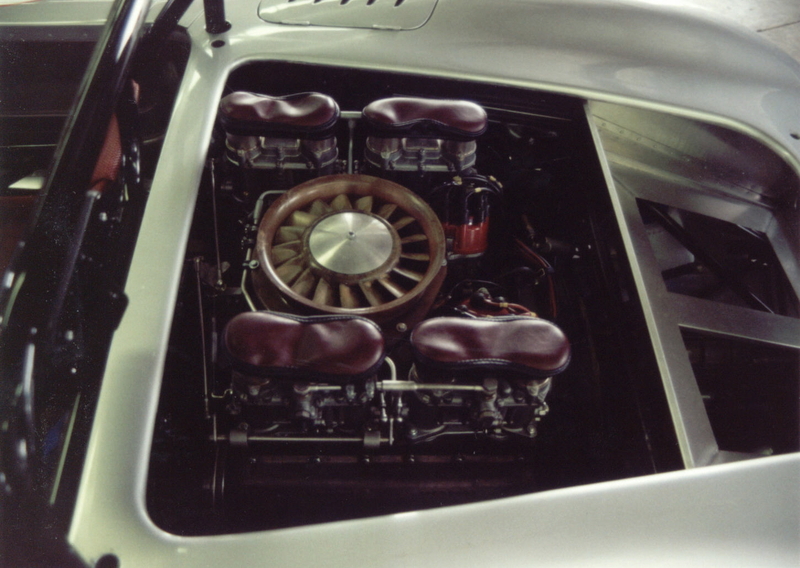 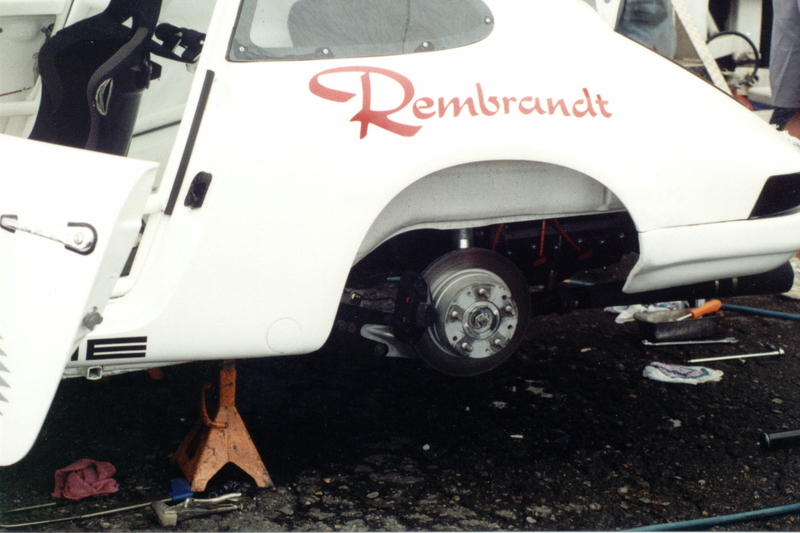 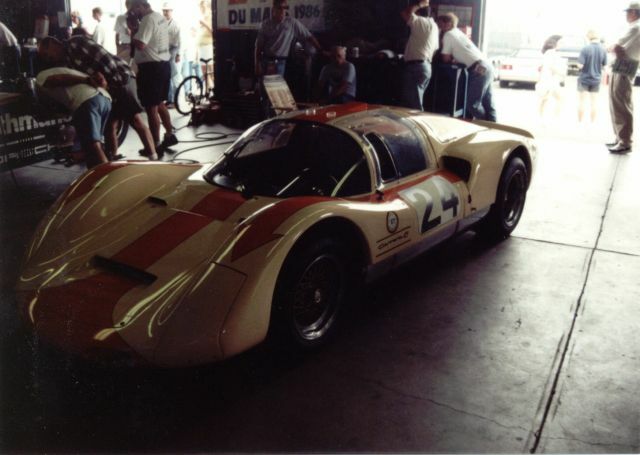 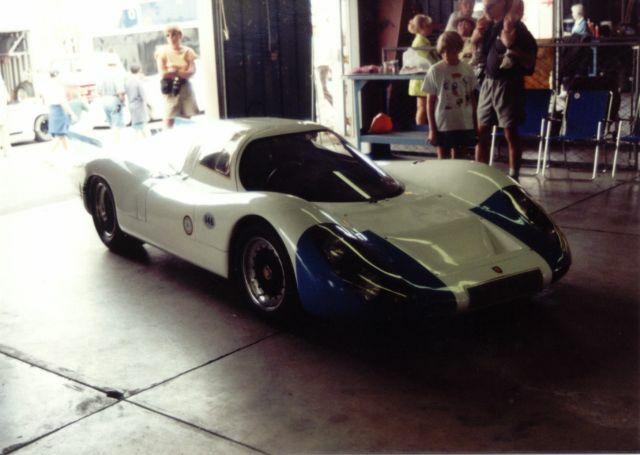 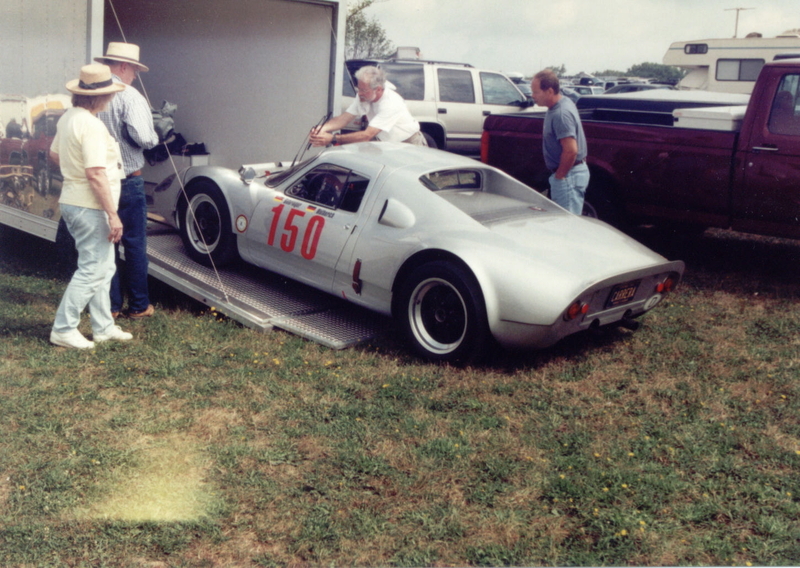 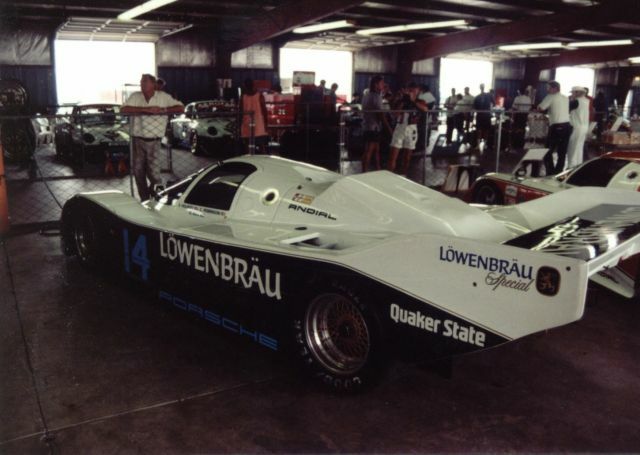 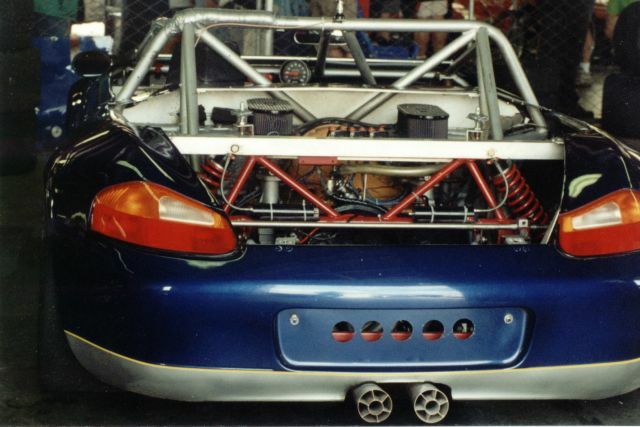 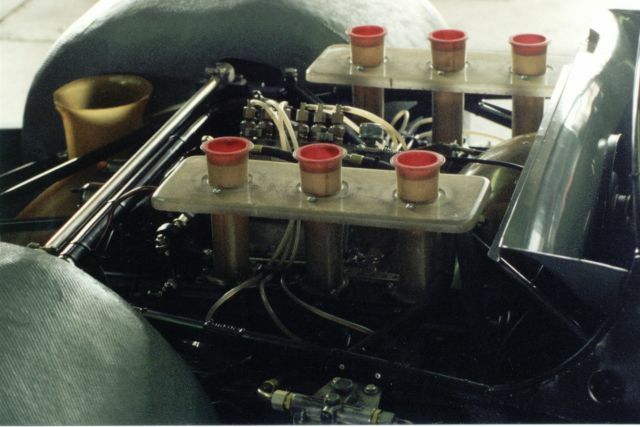 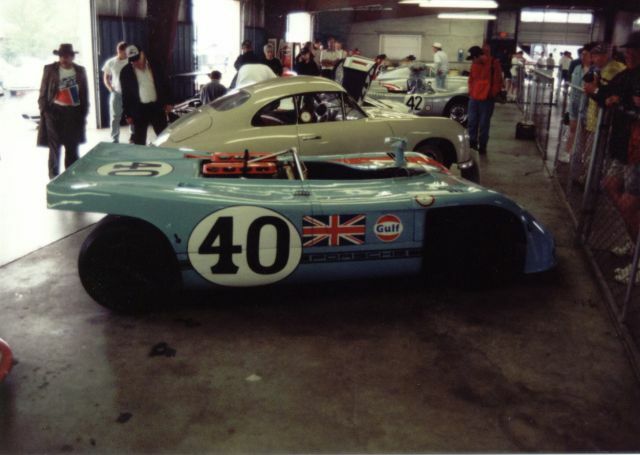 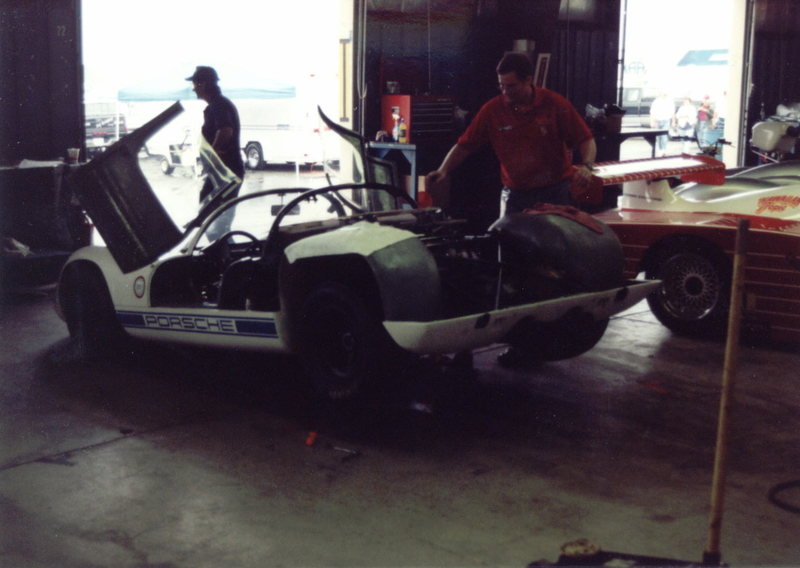 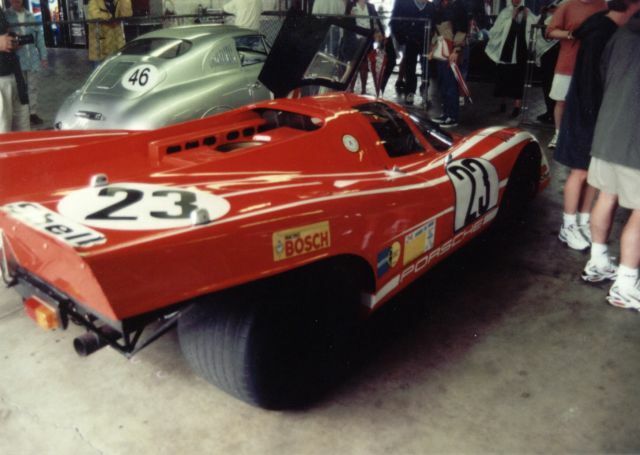 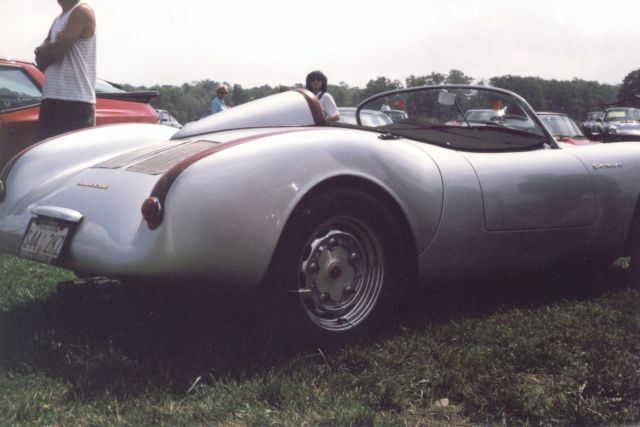 The Double 50 was the prototype for the later Rennsport Reunions in that it was the first event of this size that was put on by Porsche and was a Porsche only event. These photos were taken by Jim Buhay and myself using a couple different old film cameras then at a much later date the photos were scanned into my computer and are presented here. It is amazing how much photography has improved since the advent of digital cameras. Many of the photos here aren't very good quality due to poor lighting in the garage and poor technique by Jim and myself. 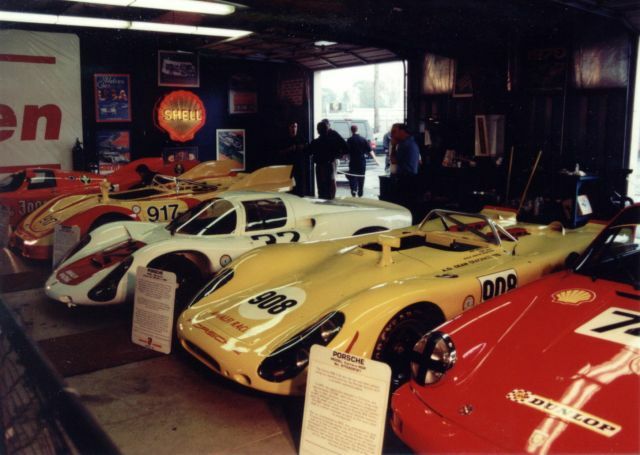 This is just a very small sample of the amazing cars that were in the garage and paddock. 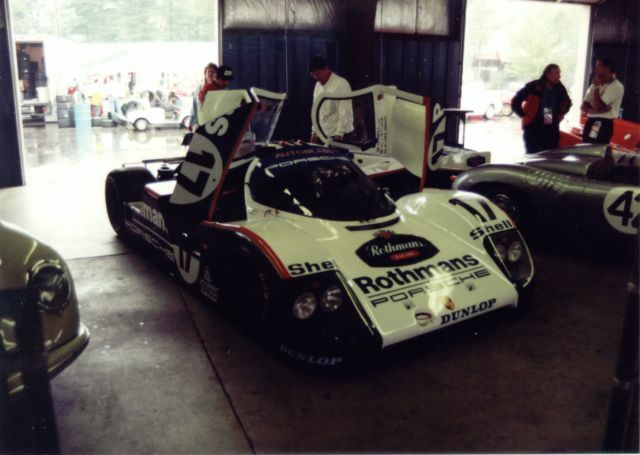 It does not address the cars in the Porsche only parking. 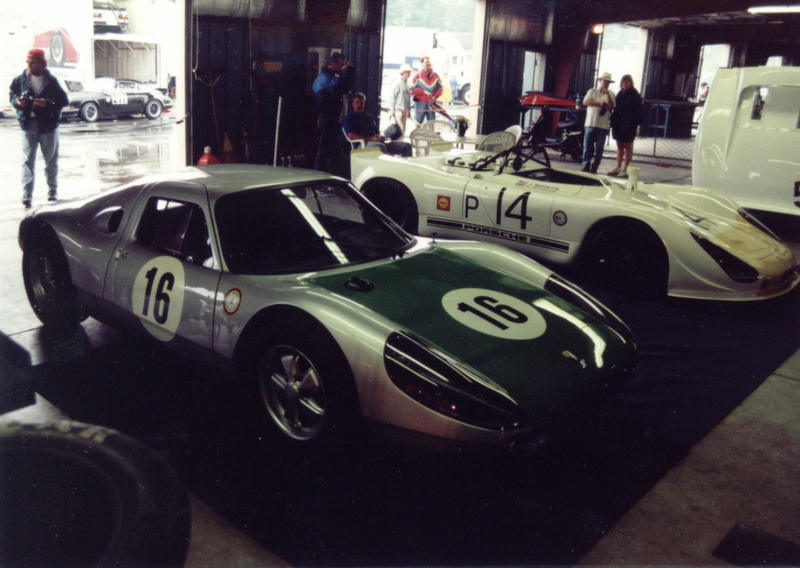 Hope you Enjoy these.